The talent around here is incredible. Whoever said painting was dead was quite mistaken. 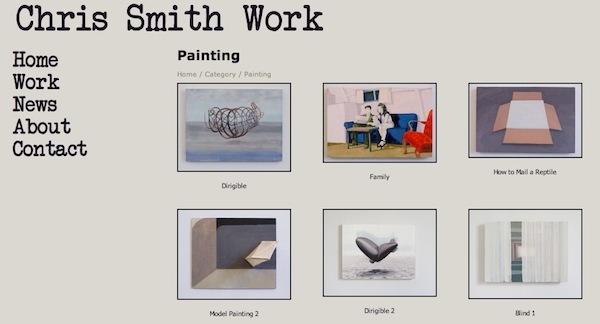 As you will be able to see at this new artist website, created by Chris Smith. 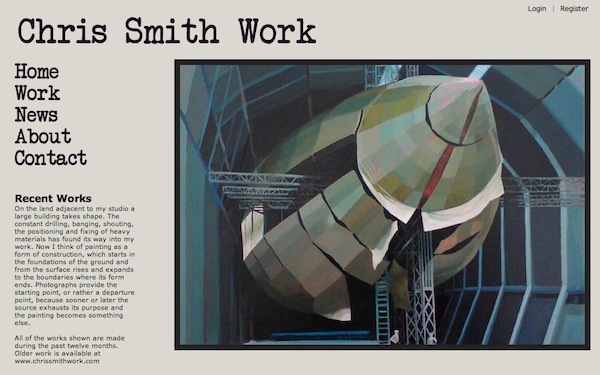 Chris Smith is currently approaching what will be the end of a two year MFA degree at Leeds University in the UK. More than proficient in the art of putting paint to canvas, Chris shows a keen sense of construction in his work, and idea that is echoed in his site introduction. "On the land adjacent to my studio a large building takes shape. The constant drilling, banging, shouting, the positioning and fixing of heavy materials has found its way into my work. Now I think of painting as a form of construction, which starts in the foundations of the ground and from the surface rises and expands to the boundaries where its form ends." 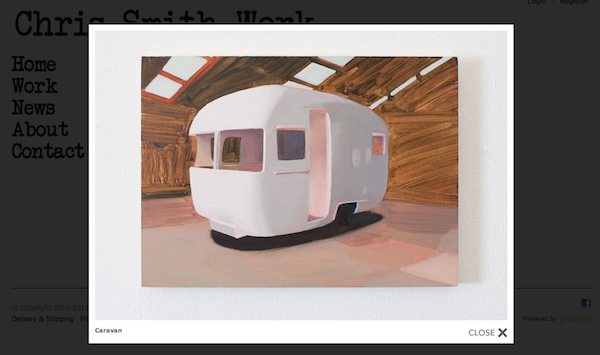 This new website houses Chris' newer works, showing a range of paintings, drawings and video stills. You can also find a list of exhibitions, awards and residencies by the artist, which include the Hans Brinker Residency in Amsterdam, and the British School at Rome under the Summerfield Scholarship.